Emotions and values are considered the keys to understanding peoples' experiences and actions within the world they inhabit. The traditional symptom-led clinical interview is frequently criticised for ignoring the narrative of a patient's experience in favour of ticking-off symptoms that can be reduced or controlled. In response, this important new book seeks to understand a patient's sufferings through their individual experiences and values. The Therapeutic Interview in Mental Health is about the art of asking questions. This comprehensive book will equip psychologists, psychiatrists and clinicians with the tools to begin unlocking the emotions and experiences of their patients. The method of the therapeutic interview is explained in a step-by-step way, allowing the reader to understand the clinical interview as a means of beginning a shared understanding between patient and clinician. 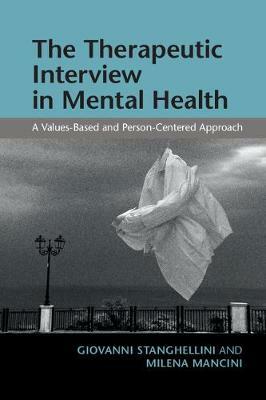 This book is an essential read for all psychologists, psychiatrists, general clinicians, and medical trainees.